Thecus today announced its new zero-crash 5-bay NAS, the N5810PRO. 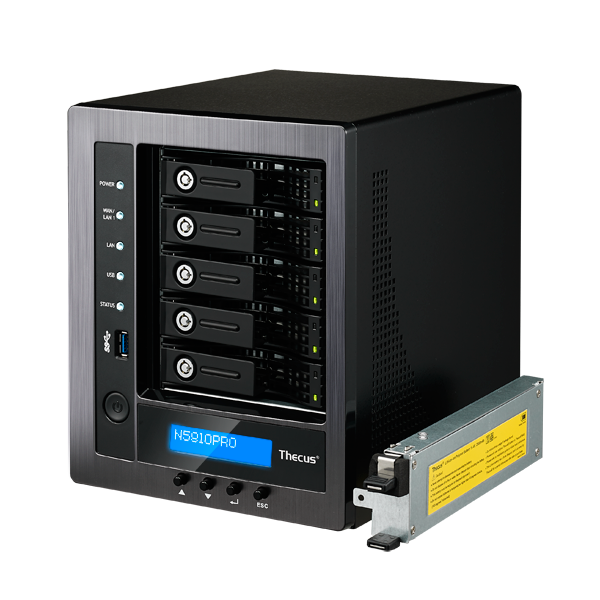 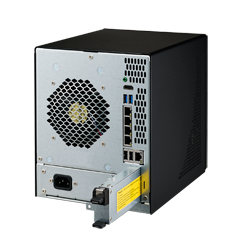 Embedded with an Intel® Celeron™ processor J1900 Quad Core 2.0 GHz SoC and Mini-UPS battery, the Thecus N5810PRO empowers users with lightning fast performance while providing impenetrable data integrity. 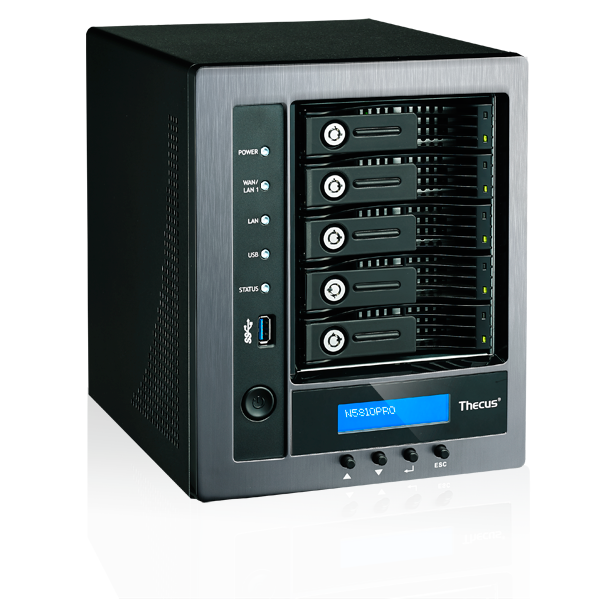 Powered by the Intel Celeron processor, 4 GB DDR3 RAM (expandable to 8GB), and equipped with 5 Gigabit LAN ports, the N5810PRO reaches blazing throughput speeds of up to 500 MB/s. 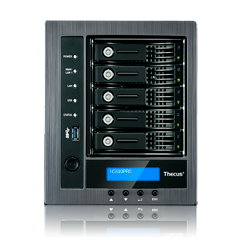 The N5810PRO supports seven modes of link aggregation including fault tolerance for resilience and port-trunking modes for increased performance. 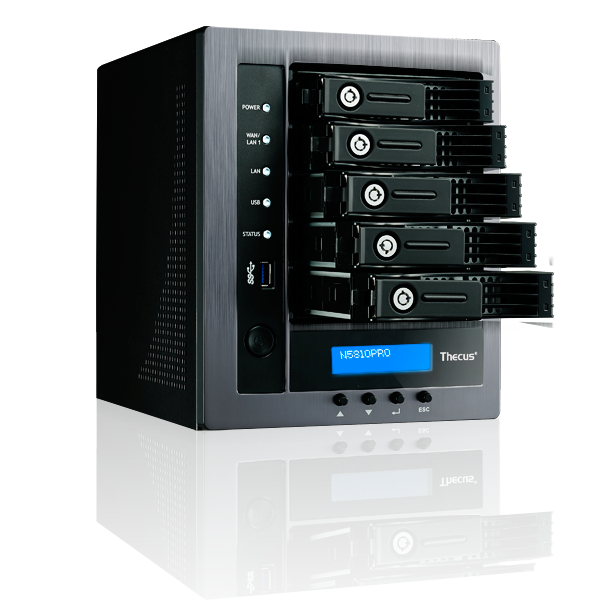 Built to grow with your business, total storage can be expanded to 50TB, while support for VMware®, Citrix®, and Microsoft Hyper-V® allow for seamless integration into a businesses' virtualization environment. 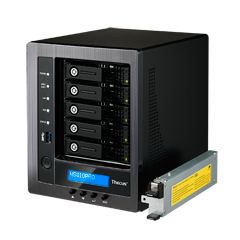 In order to protect your data in the occurrence of a sudden power outage, the N5810PRO is outfitted with a lithium-ion mini-UPS, allowing the system to store unwritten data to the hard disks and safely shut down. 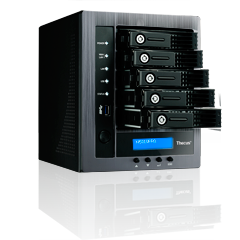 The new 5-bay NAS also supports an array of backup features including local and remote backups, System Failover, and Snapshot Backup using the Btrfs file system. Users can now enjoy enhanced storage functionality while simplifying storage management. 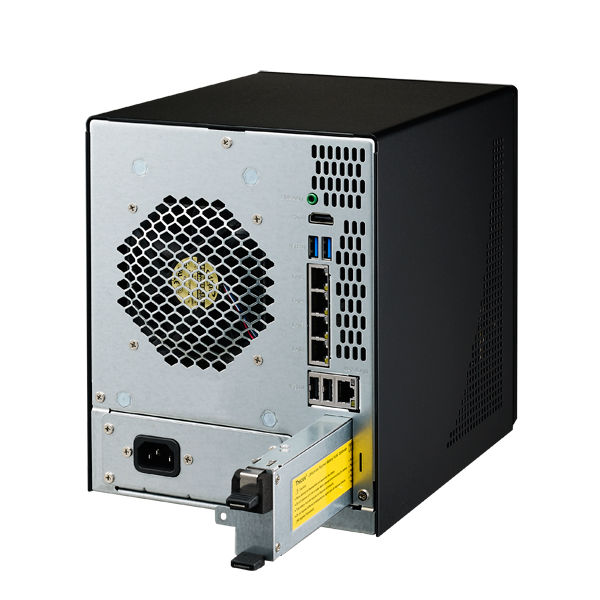 Users will also be able to enjoy a comprehensive set of entertainment features facilitated by HDMI output and Kodi for multimedia playback and mobile access with the powerful Thecus mobile app, T-OnTheGo.